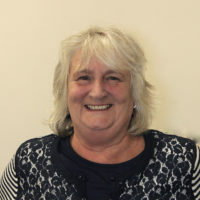 Whilst bringing up her three children Catherine undertook degree studies at Cardiff University and further to graduating has developed as a researcher and family historian. The resulting skills gained, have enabled her to undertake work for individuals and to teach classes. Working with Insole Court volunteers she has produced the ‘Insole’ family tree. This has taken over 3 years and many hours spent in record offices around the country, examining internet records, and many days researching at The Nation Archives at Kew. This research has resulted in the production of two booklets in collaboration with Professor Richard Ollerton (Sydney). One booklet has been published in the Morgannwg publication with another scheduled. More are to be produced all relating to the Insole Family of Insole Court, their ancestors’ trades and their journey to Cardiff. Catherine has also been involved in various community based projects. For example, including starting and running a Mother and Toddler group, which has continued to evolve meeting changes in the law and health and safety and the challenging expectations from mothers and still thriving well! In 2012 along with her two daughters she set up a Music and Movement group for babies and toddlers. It has progressed beyond its second year and all the signs are that the group is much needed and enjoyed within the community. Over the years Catherine has taught English to asylum seekers; taught English to Japanese women through sewing classes and opened her home to guests from Japan and Eastern Europe. For over 20 years she organised and managed the catering each year for a summer outdoor boys’ camp in West Wales for over 60 people. In recent years she has been involved in organising and teaching various craft skills at a craft open days which encourage the complete beginner.